DOHA, Qatar (AFP) — FIFA President Gianni Infantino’s plan to expand the Qatar World Cup to 48 teams and increase the number of host countries risks worsening existing Gulf diplomatic tensions, claim analysts. The ambitious expansion proposal — which Infantino has optimistically stated might help Middle East peace — could see the extra matches hosted in Kuwait and Oman in 2022. But far from making a politically turbulent region more harmonious, analysts say FIFA’s proposal could deepen regional fissures and leave Kuwait and Oman, as well as Qatar, open to further political arm-twisting from the regional power bloc of Saudi Arabia, the United Arab Emirates and Bahrain. “There is a very real risk that expanding the World Cup to include Kuwait and Oman would make these two countries vulnerable to the same sort of regional pressure Qatar has faced since 2017,” said Kristian Coates Ulrichsen, a research fellow at Rice University. It could also foster resentment in those countries missing out on games, notably Saudi Arabia and the UAE, Ulrichsen added. 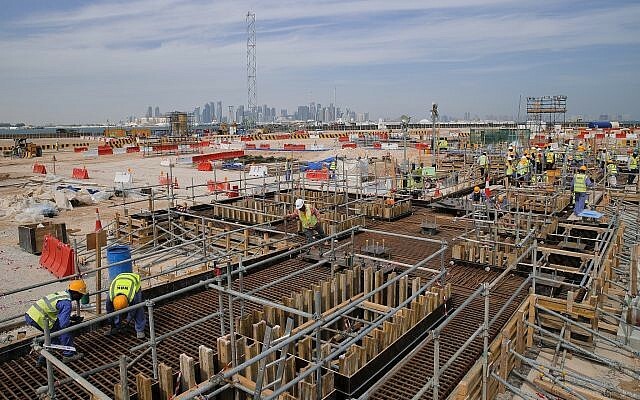 Since June 2017, World Cup host Qatar has been blockaded by the Saudi-led countries in a bitter political spat, one of the worst Gulf diplomatic conflicts for years. Saudi Arabia and its allies, which also include Egypt, accuse Qatar of promoting terrorism and being too close to Riyadh’s great political and religious rival, Tehran. Qatar denies its rivals’ allegations and accuses them of seeking regime change in Doha. 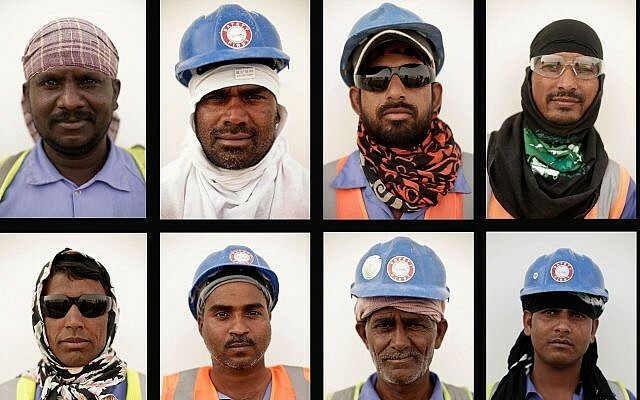 For 21 months — and counting — Saudi Arabia and it allies have imposed a political, economic and travel boycott around Qatar which shows few signs of easing. Notably though, the blockading countries do not include the traditionally neutral Gulf states of Kuwait and Oman, which have been left to tread a politically precarious line. Tensions have flared between Kuwait and Saudi Arabia over the management of jointly owned oil fields, while Oman has faced allegations that it has allowed Iranian arms shipments through its territory to Huthi rebels fighting a Saudi-led coalition in Yemen. At the same time, Kuwait has been the regional negotiator in the crisis, while Oman is an economic winner from the conflict, its trade with Qatar jumping 240 per cent since 2016, according to Doha. 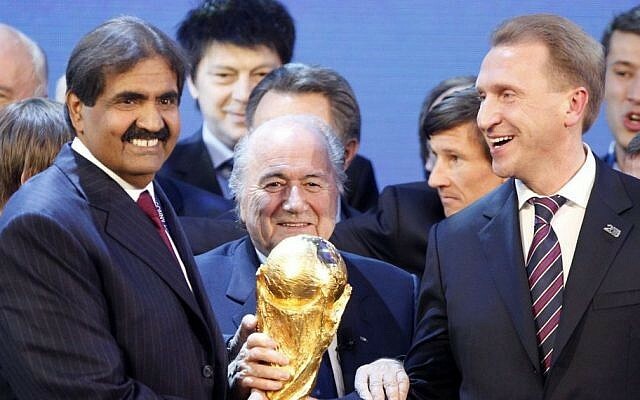 “The Gulf dispute as it exists would be further exacerbated by having a World Cup over three countries,” added Krieg. He said FIFA proposals to share the Qatar World Cup with Kuwait and Oman would reinforce the feeling that the Gulf has split into two competing blocs of three countries, with Saudi, UAE and Bahrain on the other side. Even if Qatar is forced to share its World Cup, the first in the Middle East, it is unlikely to please Riyadh or Abu Dhabi, adds Krieg. “I don’t see how Saudi and the UAE get anything out of that,” he says. Yet FIFA’s plans to expand the 2022 World Cup appear to be gaining support among some football administrators. The results of a much-vaunted FIFA “feasibility study,” announced at a meeting of football’s governing body last week in Miami, backed expansion in Qatar. 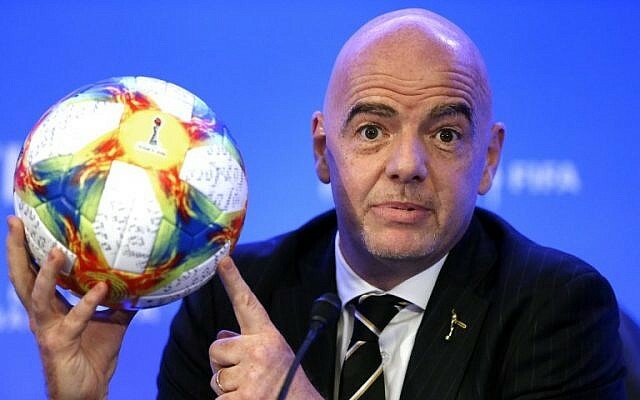 “We came to the conclusion, yes it’s feasible to move from 32 to 48 teams at the World Cup provided certain conditions are met,” Infantino said, declaring himself “happy” with the finding. A final decision will be announced in Paris in June, and while the expansion plan has been gaining a seemingly irresistible momentum, some remain unconvinced. Campaigners warned FIFA not to neglect its own newly imposed standards on human rights when awarding World Cup host status. Any expansion would see an extra 16 matches played over the duration of the 28-day tournament and there are concerns over whether stadiums and infrastructure in Kuwait and Oman would meet exacting FIFA tournament standards.